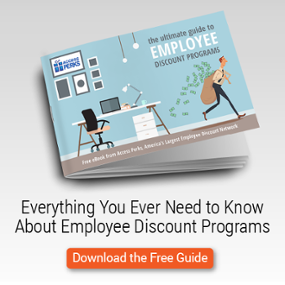 Last week we shot down the myth that engaged, high-achieving employees are more expensive. In reality, they bring in more value than they cost. If your company aligns with their goals, they won't even need to be paid as much. In other areas, we've made the correlation between employee engagement and customer engagement. Companies with a base of highly engaged employees are going to retain more of their customers, and make more money. Let's keep diving into the returns on engagement. Can you put a price on the extra mile? Is there an ROI for an employee that doesn't leak classified documents? What about stealing supplies from the office? The returns on an engagement don't just reveal themselves in revenues and profits. To get a truly rounded measure of the benefits of engaged employees, you need to take a look at what's happening inside your office. There isn't much data to it, but we suspect this behavior has a way of catching on. Just as active disengagement can spread like a wildfire, positive engagement has a way of catching on as well. Another way to measure the value of employee engagement is to look closely at what engaged workers won't do. Like steal stuff, or send your secrets to Wikileaks. It makes sense that people who like what they do will have some extra pep in their step. Anyone who's ever had a job they hated knows the feeling of dread that the alarm clock brings each morning. People find excuses to do more of what they love and avoid what they loathe. Many companies short change employee engagement because it's too expensive and doesn't have a hard ROI. We know now those things just aren't true. Yes, some elements of engagement come with costs. Longer-term employees will have higher salaries than new hires, most likely. Recognition programs, career development, employee perks, community involvement - these things have costs, sure. The return on engagement is greater. And it shows itself in customer engagement and retention, but also in the behavior of employees who feel as much personal investment as the CEO. They're going to do the right things and go the extra mile because they want to see the business succeed as much as anyone. That's invaluable, and worth pursuing.